I haven’t been myself in the kitchen lately. Or with food in general, really. No inspiration for cooking, no new ideas to spark our weekly routines, not even an appetite for eating. This is a sad state of affairs for a food lover like me to be in. Especially as the bounty of spring and summer approaches. That all changed this week. Thankfully. During the past four days, I had the pleasure of spending an evening cooking and learning from the wonderful Tamar Adler, (whose new book is keeping me up at night, in a good way) AND attending a talk by my all-time culinary hero Jacques Pepin, whose KQED TV programs taught me so much about how to cook with precision, economy and love during my college years. A few new cookbooks that just arrived didn’t hurt either. I see the cook and eater in me re-emerging from the cocoon. This makes me very happy. And now, for a quick recipe to inspire your weekend cooking…. 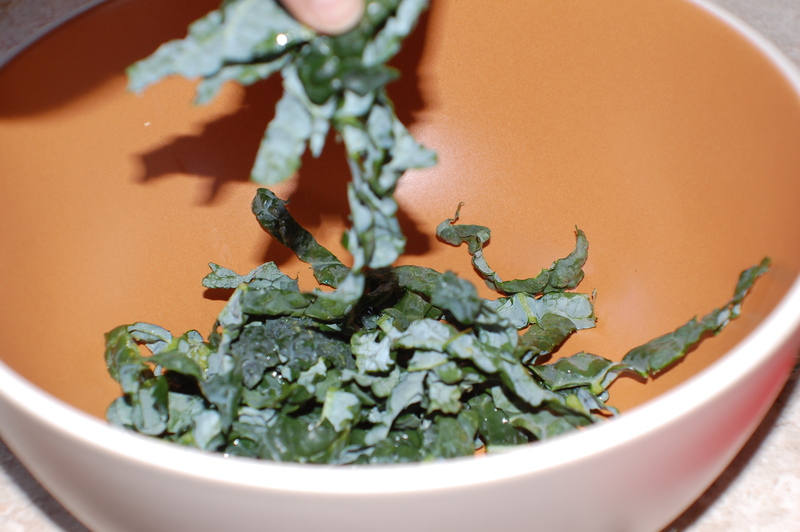 I made Heidi Swanson’s gorgeous raw kale salad a lot this winter, and it quickly became a staple side dish in our household. Then my Caesar salad craving hit. 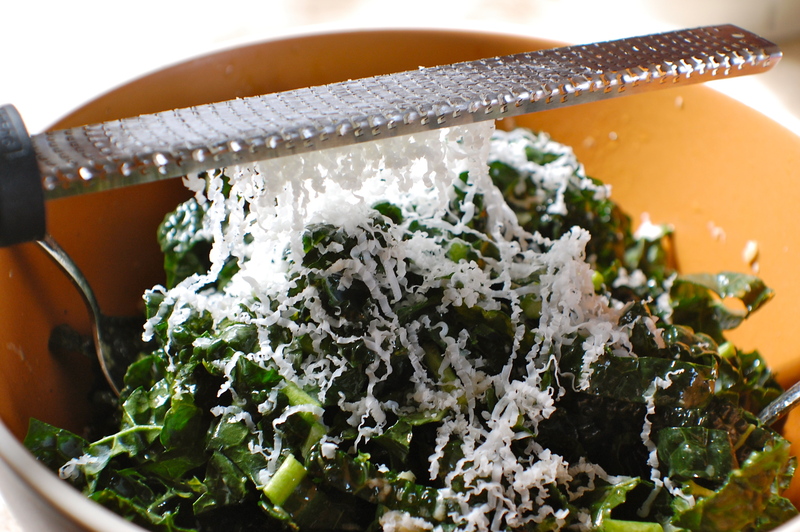 Since kale holds up as well as romaine to the powerful Caesar dressing, even better some would argue, I decided to combine the two via this simple recipe. One caveat: I do “Caesar-lite”, in that there are no eggs in the dressing. To keep things simple, and to eliminate food poisoning potential. Chop washed and trimmed (cut out the tough center rib) organic dino/lacinato kale (though other varieties work too) and place in a serving bowl. Make croutons by toasting olive-oil tossed stale bread chunks either in a large saute pan (more control) or in a 375º or so oven (less hands on). Croutons are optional but there is no better use for stale bread in my opinion. 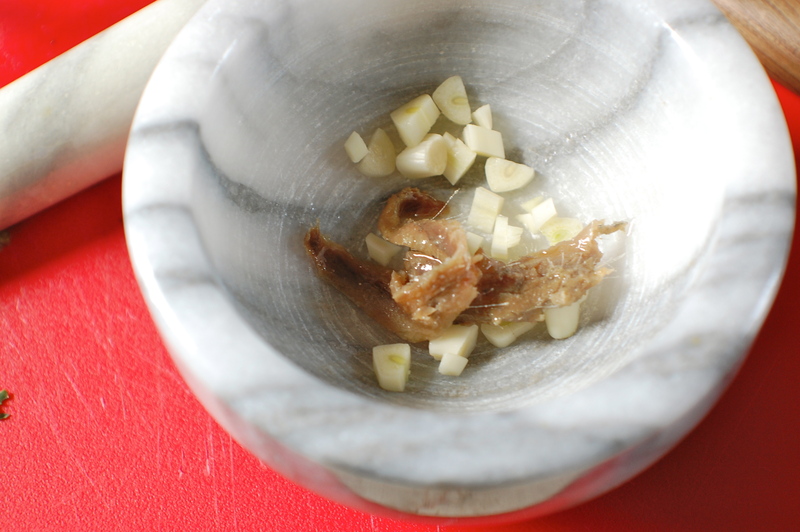 In a mortar and pestle, mash 1-2 roughly chopped garlic cloves (one medium or large, 2 small) with 2-3 anchovy fillets and a touch of salt. Add a little olive oil to ease mashing if needed. After a few minutes of work, you’ll have a wonderful garlic-anchovy paste that forms the basis for my Caeser-lite. Transfer the paste to a jar/glass/cup and add in about a 1/2 teaspoon of mustard (I prefer brown mustard but Dijon is fine too) and the juice of one lemon. Add in a small handful (about 1/4 cup) of Parmesan or Pecorino cheese. Whisk together gently, the slowly add olive oil, mixing the dressing to emulsify. Add in salt and pepper as desired, then taste to make sure balance of ingredients tastes right. Add more mustard/lemon juice/oil as needed, then dress the salad. Mix, toss, and add in more grated cheese as desired. Let the salad sit for at least 30 minutes (longer is just fine) for the kale to soften and absorb the flavors of the dressing. If using croutons, add just before serving.